Abstract: By exploring the world around you and maintaining your health, you can enjoy just how nifty life after 50 is. Sometimes you have to reinvent the wheel. The Airwheel power wheelchair encourages smarter and more efficient living for the elderly. The old truism about fifty being middle-aged no longer holds true and "fifty is the new forty." But you may not be sure how to embrace life after 50. Replace a harmful dependency — such as cigarettes, alcohol or eating too much chocolate — with a positive one. Any mild-to-moderate exercise releases natural feel-good endorphins that help counter stress and make you happy. There is an unimaginable amount to explore in other places, from foreign countries to the next town over. Traveling keeps you moving and your brain engaged, which can keep you young at heart. Try the Airwheel H series of smart electric wheelchair. The newly launched Airwheel H series has become the old people's rigid demand for daily mobility. Now, there are two models in H series—H3S and H8. H3S is the founding model of H series and makes many breakthroughs. The automatic folding system is one of them. H3S can be folded and unfolded automatically making it easy transport. Other than that, H3S has firstly introduced the joystick controller allowing anyone especially the old people to control it in no time. 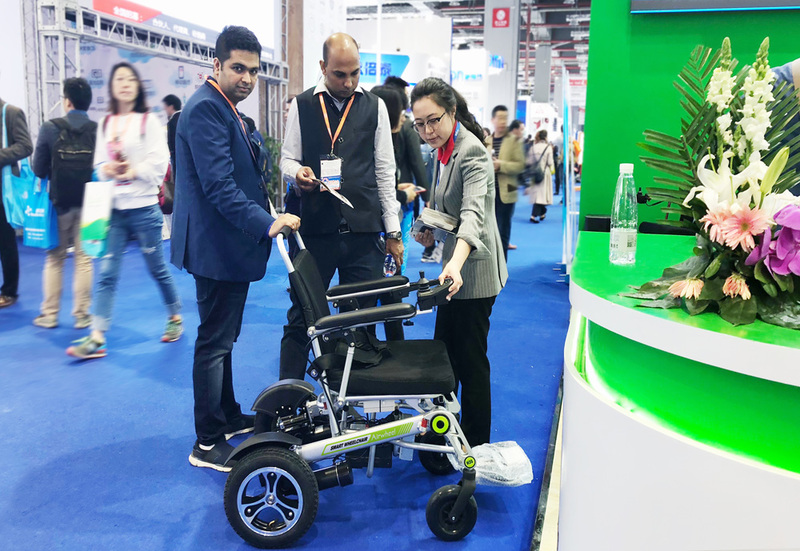 Airwheel R&D team has considered this by adopting the adjustable pedal to H3S handle controlled electric wheelchair. It can be adjusted according to the height of the riders to provide the most comfortable riding experience. H8 is equipped with a large storage box allowing users to put market goods or daily essentials which accords with principles of ergonomics. Unlike H3S, H8's battery is replaceable, making it easy to charge. H8 power chair chooses 6 inch front wheels and 6.5 inch rear wheels, featured by wear-resistant and unique tread pattern design that enable H8 to adopt more road conditions and lengthen its service life. To keep riders' safety, H8 installs dual brake systems—hand brake and electronic brake and dual alerts—reverse reminder and horn. In a word, both are to make the daily mobility more convenient for the senior citizens.